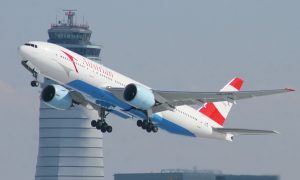 Austrian Airlines expanded its regional fleet by four aircraft to a total of 18. One of the four turboprops of the Dash 8-Q400 family of aircraft with the registration OE-LGO was christened with the name “Innsbruck” at Innsbruck-Kranebitten Airport. The godmother was Innsbruck‘s Mayor Christine Oppitz-Plörer. “I am pleased that we will have a regional ambassador for Innsbruck in the air thanks to this aircraft“, says Oppitz-Plörer. 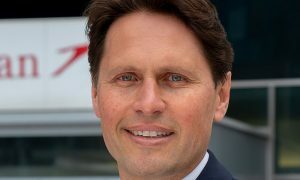 “In addition to the name ‘Innsbruck‘, we also want to intentionally give names from Tyrol to the other three aircraft,” explains Jaan Albrecht, CEO of Austrian Airlines. 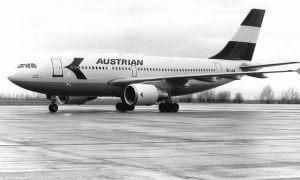 This is due to the fact that the fleet expansion not only strengthens the entire Austrian Airlines Group, but also the Innsbruck site as the specialist for turboprop aircraft. Close to 300 people work at the Innsbruck facility, of whom 118 employees are involved in technical services for Austrian Technik and a staff of 36 at the airline’s station at the airport. A total of 75 employees work at the service center ATS and another 57 people are stationed in Tyrol’s capital city of Innsbruck. The initial flight of the “Innsbruck” is already planned for November 1, 2014, offering flight service from Zurich to Lugano in wet lease on behalf of Swiss International Airlines (SWISS), which also belongs to the Lufthansa Group. In the future four flights each day will be operated on this route. By deploying the largest aircraft SWISS will be able to increase its capacity on this route by 50 percent. 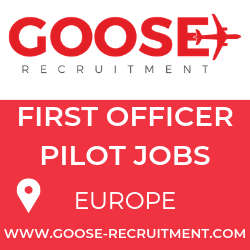 On the basis of this small step in its expansion, the entire fleet of the Austrian Airlines Group will increase to 79 aircraft, including 18 turboprops of the Dash 8-400 family of aircraft. The original value of this type of airplane amounts to USD 25-30 million. However, the parties agreed not to disclose details about the actual purchase price of the used aircraft. Due to its design, the Bombardier Q-Series is considered to be particularly reliable and efficient. “Turboprops” are often wrongly seen as an outdated technology, but in reality the Dash 8-400 is a state-of-the-art aircraft. Compared to passenger jets with the same seating capacity, the Dash 8-400 requires about 40% less fuel thanks to its propeller-driven technology, and thus also reduces CO₂ emissions. Incidentally, the “Q” stands for “quiet“. A sophisticated system ensures that the noise and vibrations caused by the propellers are suppressed. This aircraft type is also capable of reaching airports where larger aircraft are not able or allowed to land. For example, this is the case in Lugano. The pilots are given special training in landing procedures, and require separate instruction for this purpose.